Coaster Giant B&M to build First Family Inverted Coaster. While the coaster company Bolliger and Mabillard may be known for their giant ride, it seems their doing a first for the Happy Valley Park in China. The company isn't known to build smaller, family style coasters but according to Roller Coaster Database it seems they are now. These small, inverted family coasters are normally the mark of Vekoma Coasters but it seems B&M is now getting into the game. They normally run only a single coaster train and sit only two people per row. 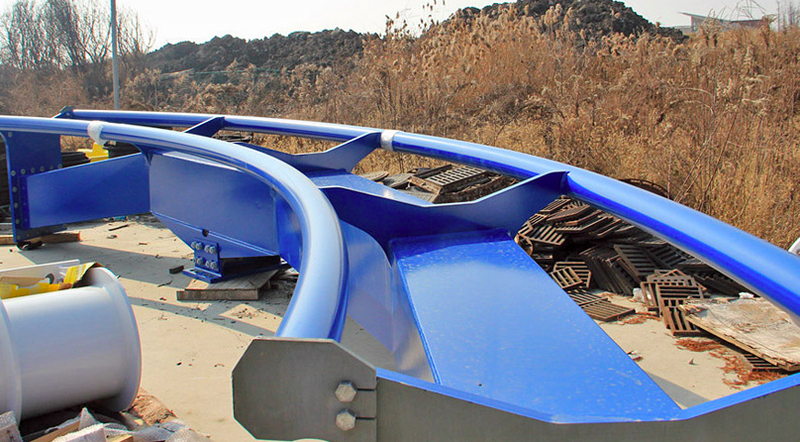 The currently unnamed coaster is being installed at Happy Valley Park in Shanghai, China.